The owner, Albert, was there to meet us and was welcoming and friendly. He took the time to talk and show us where everything was. He explained the waste disposal and answered all our questions. We stopped for a week to catch a bit of winter sun and had a great time. The apartment is situated right in the heart of the bay with fantastic views over the harbour. The apartment is huge with great facilities and we received a lovely welcome from the owner and his son. Would highly recommend this and we are already planning to come back! Alberto is a great host, very flexible, polite, helpful, and very responsive! The apartment is huge, very spacious and has everything you need: washing machine, dishwasher, two bathrooms. The view from the balcony is spectacular and the location is quiet, even though there are many restaurants and bars around. Great location and host very friendly and amenable. View to die for. Would recommend. Albert was a great host and very accommodating, can’t thank him enough. The apartment is very spacious with stunning views from the balcony, it had all essentials and more, we had a comfortable stay, our 2yr old loved it. All amenities are within short walking distance, can’t ask for more, would definitely stay there again. 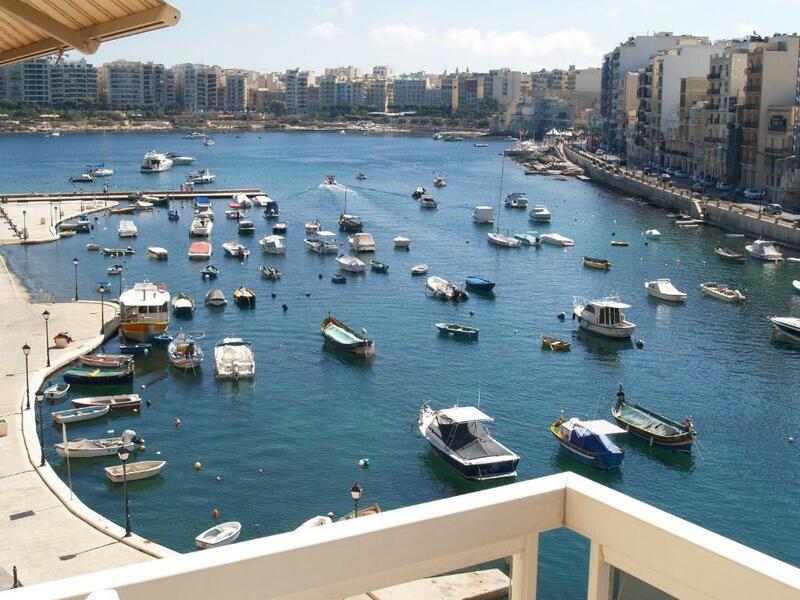 Lock in a great price for Seafront Apartment Spinola Bay – rated 8.6 by recent guests! One of our top picks in St. Julianʼs.Featuring a large balcony overlooking Spinola Bay, this air-conditioned apartment offers a central location in St Julians. 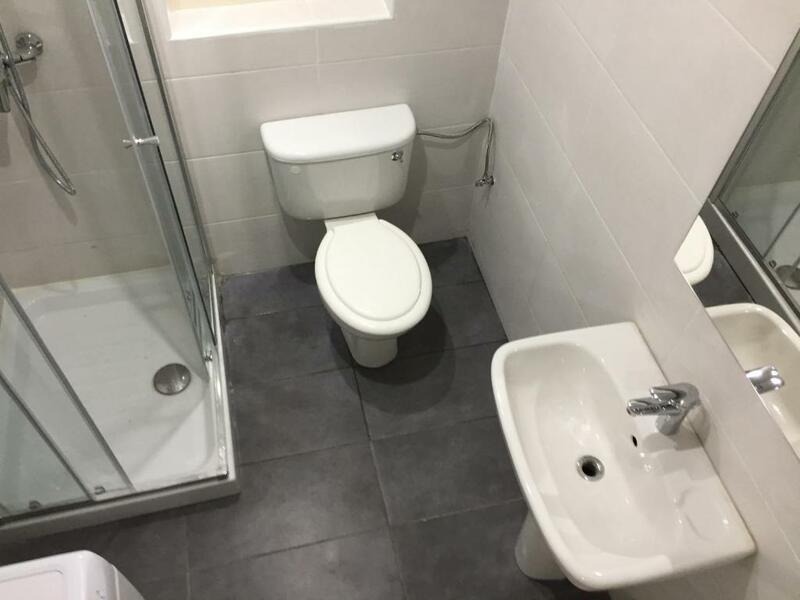 It is equipped with dishwasher, washing machine and free Wi-Fi. 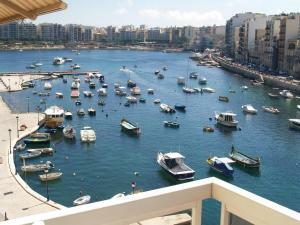 Seafront Apartment Spinola Bay is set on waterfront in a modern building with a elevator. It comes with cable TV, a spacious living/dining room and 2 bathrooms. 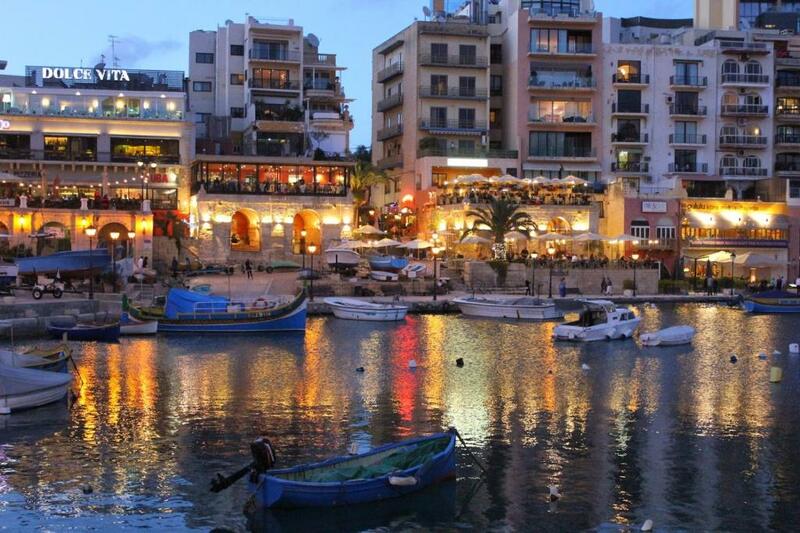 Shops, restaurants and bars are a 2-minute walk from Apartment Spinola Bay. The property is 0.6 mi from St George's Beach and a 20-minute drive from Valletta Airport. 뀐 Located in the real heart of St. Julianʼs, this property has an excellent location score of 9.9! 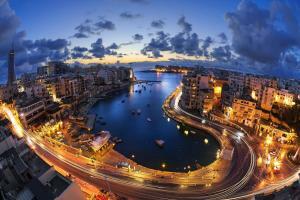 When would you like to stay at Seafront Apartment Spinola Bay? 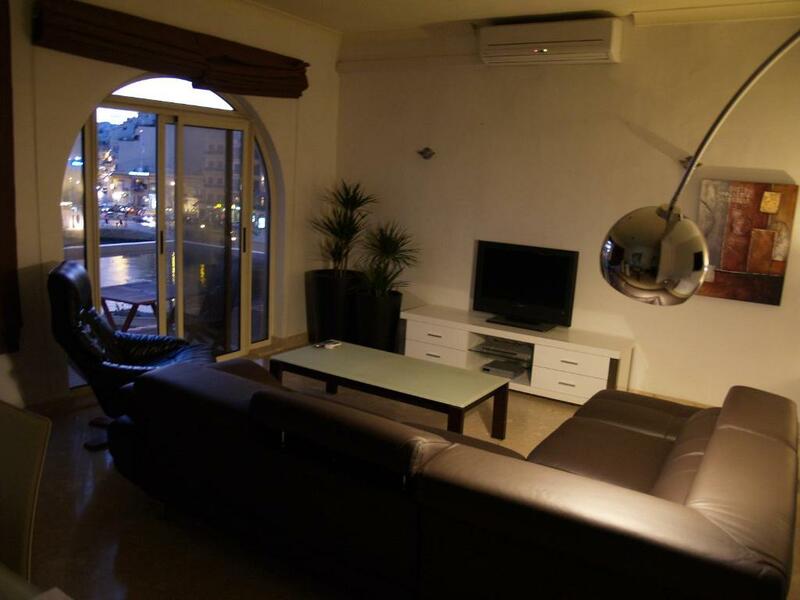 Featuring a furnished balcony with views of Spinola Bay, this air-conditioned apartment includes cable TV, free Wi-Fi and a kitchen complete with dishwasher. 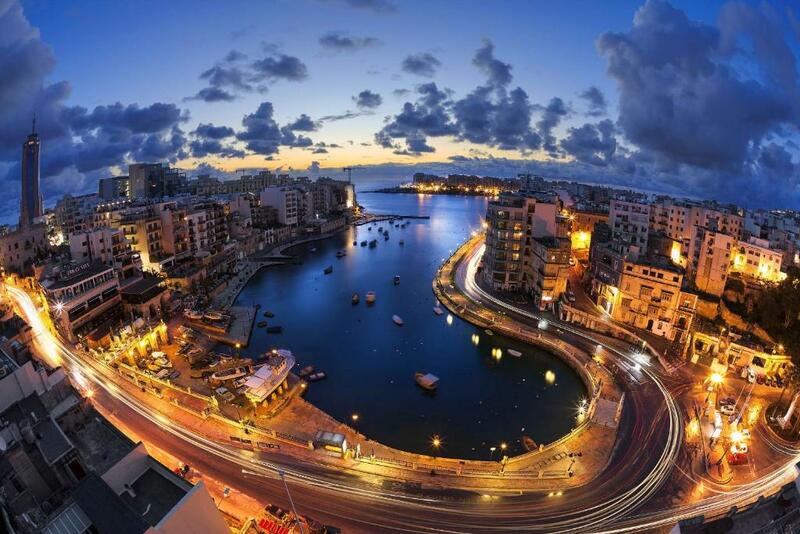 All other flats mention distance to Spinola Bay. 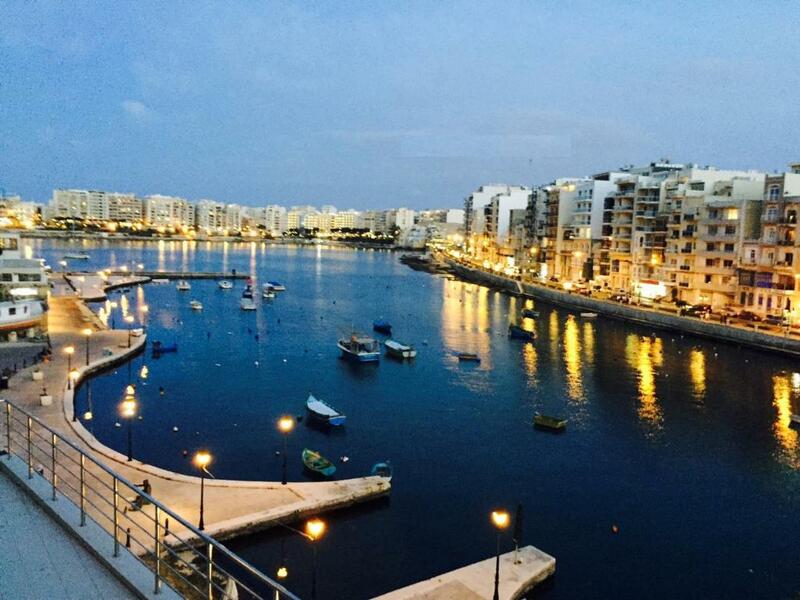 We are right on the waterfront of Spinola Bay ! 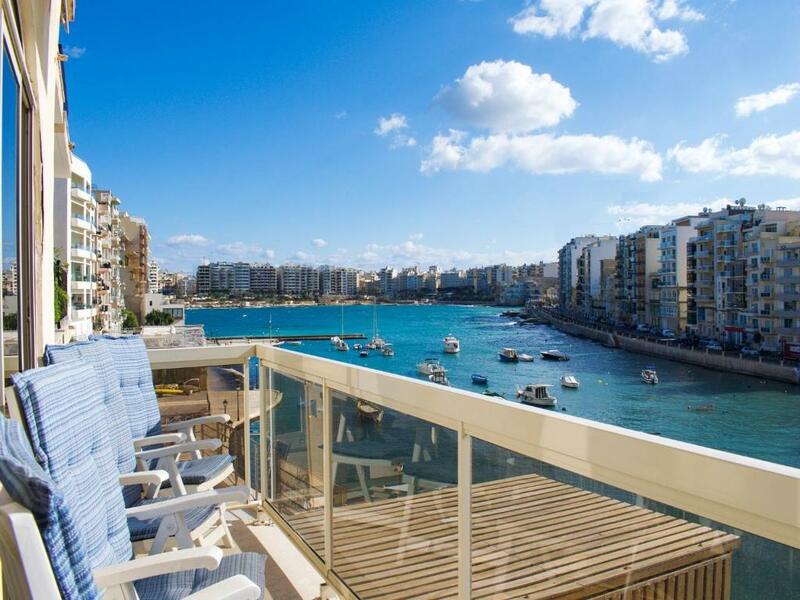 South facing waterfront balcony and away from the traffic.....A very well positioned and equipped 3 bedroom seafront apartment in arguably the finest location within Spinola Bay. The property is one of only five apartments in the block, nicely elevated over the waterfront and promenade of Spinola Bay enjoying views of Spinola Bay and Sliema seafront. The accommodation extends to 1500 sq. ft. (140 sq meters) including a seperate kitchen with a granite worktop surface, living - dining room leading to front balcony overhanging the bay berthed with the local fishing boats. Master suite with en suite bathroom, 2 further bedrooms and family shower room. Restaurants, entertainment and bathing area is within waking distance. Fully air-conditioned, WIFI and served with passenger lift. Water sports within walking distance. The small bay still shelters numerous coloured Maltese boats that are berthed here all year long. St Julians derives its name from the Patron Saint of hunters. St Julians is a village for all ages and walks of life. The young at heart will enjoy nearby Paceville - this locality offers much to tourists looking for nightlife entertainment, including discos, bars , Casino , restaurants and other entertainment. House Rules Seafront Apartment Spinola Bay takes special requests – add in the next step! Seafront Apartment Spinola Bay accepts these cards and reserves the right to temporarily hold an amount prior to arrival. There was nothing that we did not like about the apartment or surrounding area. Everything was within easy walking distance and when we left on excursions the pick up point was only a short walk. We very much enjoyed our time in the apartment and the many restaurants close by. Some of the décor was tired but it had its own charm so not really a downside. bedroom without daylight, window opens to an open shaft so that we heard the neighbour`s water flush of the toilet and shower, bed not very comfortable. Just at arriving we were asked to pay. Unfortunately the apartment was very very dirty. I think after the last tenants nobody cleant the apartment. The bathrooms needs a renovation. The beds are old. The communication with the owner was great and the apartment is located very nice. The view from the balcony is beautiful. The whole apartment was needing to be updated and to have a good clean, especially the bathrooms. The shower was filthy on arrival, but cleaned promptly after getting in touch with the host and the bath needs replaced as has been patched. Needs new crockery/glasses in the kitchen as there were no whole sets of anything. The view was amazing and the apartment was very spacious. The host Albert did his upmost to secure a pleasant stay for us. Fantastic service!